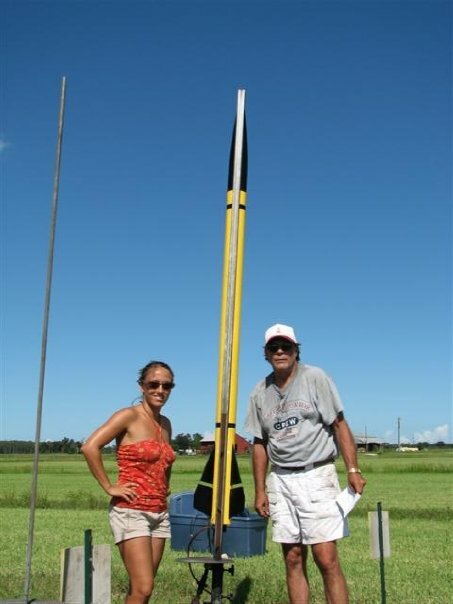 Do you have an inspiring story or special motivation for participating in Rocketman Florida? We’d love to hear it! 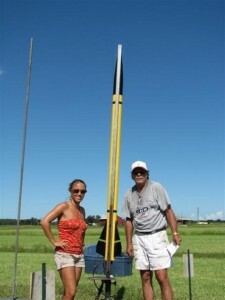 Email info@themelbournemarathon.com with subject line: Rocketman Florida Personal Story. Feel free to include photos, link to your personal blog, etc. We will be posting a few of our top submissions from now through the event. My husband and I met on a blind date 18 years ago. A mutual friend knew we were both long distance cyclists who competed in charity rides. Our second date was 6am on a Sunday morning. We did a 35 mile ride before church. Together, we have competed in charity bike rides and triathlons raising over $100,000 for The American Lung Association, Multiple Sclerosis Society and Organization for Autism research. We are proud to combine our love of exercise with raising money. As we retire, our goal is to travel the country competing in triathlons, at least one in every state. Rocketman would check off Florida. I started competing in triathlons at age 57. I am 65. I have done only 5 states and close to 30 triathlons. We have always wanted to own an RV. So we bought the RV last September. On March 29th we did The Big Easy Triathlon in New Orleans. I talked my son, who lives in New Orleans, into doing his first triathlon. He wants to do Rocketman with us. We have been told by other triathletes, “we want to do what you are doing”. Travel the United States competing in Triathlons. We have vanity plates on the RV, “TRI USA”. Some background on my husband, he is retired Navy Chief. During part of his career he served with the Manned Spacecraft Recovery Force Atlantic in the late 1960’s. So I think doing RocketMan Triathlon would be really amazing. 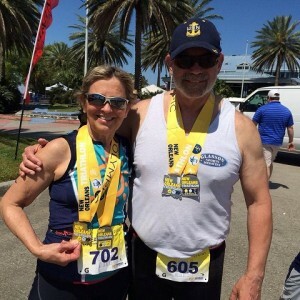 In the beginning, my husband was my coach but now has joined me competing in triathlons. Thanks. “Staying in shape is a core requirement for the Air Force. For some, the requirement comes easy. For others, it can be a challenge. But for some members of the 920th Rescue Wing’s Maintenance Squadron, it’s just like riding a bike. Literally. The MXS started a cycling club in 2011, and it has members not only from maintenance but from the operations and aeromedical staging squadrons, as well as a small group of retired 920th Airmen. The group meets after duty hours to train and socialize. The team rides for fun. But they also train to participate in community charity rides. Their charity rides include biking for breast cancer awareness and the annual Tour De Cure, which benefits the American Diabetes Associated and includes 70 miles of spinning metal spokes, rolling rubber wheels and turning handlebars. The group gets sponsorships from local restaurants and pubs, and also hosts fundraising events. They’ve raised $10,000 as a team. Monopoli says it’ll be great training for other big rides they have coming up, the three-day, 375-mile ride they plan to do in Puerto Rico this January. While the group trains for rides around the community, there is another benefit to adding mileage on their bikes – it helps keep them fit to fight. Biking is also therapeutic for these maintainers. “Recovery from bowel surgery is hell. I will spare you the details, but I learned that if I didn’t stay physically active, my body would revolt against me. Sometimes I feel like a shark, that can’t stop moving or I’ll drown. A retired neighbor inspired me with his habit of riding his age in miles for every birthday. Today is his 76 mile ride. In 2012 I rode 47 miles. While preparing for my 48 mile ride, I learned about a triathlon at Kennedy Space Center, and got hooked on the idea of riding my bike where man first departed for the moon. This year, at 48, I completed my first sprint + triathlon. I completed a 1/4 mile swim, 36 mile bicycle ride and a 5K run in 3:39:40. My goal was anything under 4 hours. I am now looking to take time off of my transitions and to complete enough USAT events to carry a national ranking. I want to be at least 100 places from the bottom in my category. I may have 1000 behind me at my current pace. I also completed my 48 mile ride with much more energy than the previous year. I have dropped 30 lbs, so I’m out of the Clydesdale group. I also completed my 49 mile birthday ride. I followed that up as an adult leader at Wallwood Boy Scout Reservation (summer camp) with my son’s Troop. While I was there, I earned the mile swim patch (for scouts or leaders). 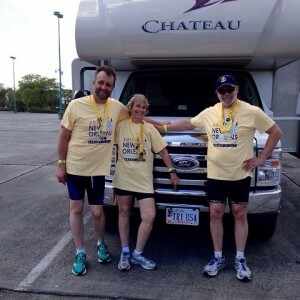 “A triathlon had always been on the “to do” list for me, but but I never felt truly compelled to attempt one until I saw the announcement for Rocketman Florida. It didn’t matter to me that I lived 2,500 miles away in California, I signed up for the half iron distance as soon as registration opened. I’m an endurance runner and I’m also a Propulsion Engineer at Virgin Galactic, where I help build rocket engines and spaceships which will very soon start fulfilling the promise of open and easy space travel that NASA made back in the 1960’s. I love racing and I love my job, so choosing Rocketman was a no brainer for me. However, my passion for both often led to long days of running early in the morning, going to work for 10-12 hours, and then getting home with just enough time to fit in a swim workout at the local high school pool before bed. Some have told me I’m a “glutton for punishment”, I say I’m just driven. Though I’ve been training for months, this race took on a new meaning just two weeks ago when terrorism struck the Boston Marathon. I grew up in New England and spent my college years at Boston University, so I’ve always considered that city my adoptive home. I had dreamt of running in the Boston Marathon for a long time, a dream which was finally realized last year right before I moved away to California. The energy and excitement I felt during that race was electrifying and the addictive satisfaction of a hard-fought finish is a big reason I kept entering endurance races after a graduated college. I watched, stunned, as the events unfolded on April 15th and frantically tried to contact friends at the race to check if they were ok. Thankfully my friends at the finish line were unharmed physically, however they experienced a trauma I can barely imagine. The days that followed were pretty hard for me. Had I been in Boston, I would have been running that race. After the bombing, I would have been able to cry alongside people who understood what was wrong and later I would have been able to feel joyful alongside my fellow Bostonians when the perpetrators were finally captured. I’ve lived on the west coast for almost a year now and I’ve never felt so far away from home. 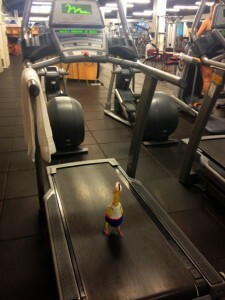 “ I am a rubber chicken. But no ordinary rubber chicken. 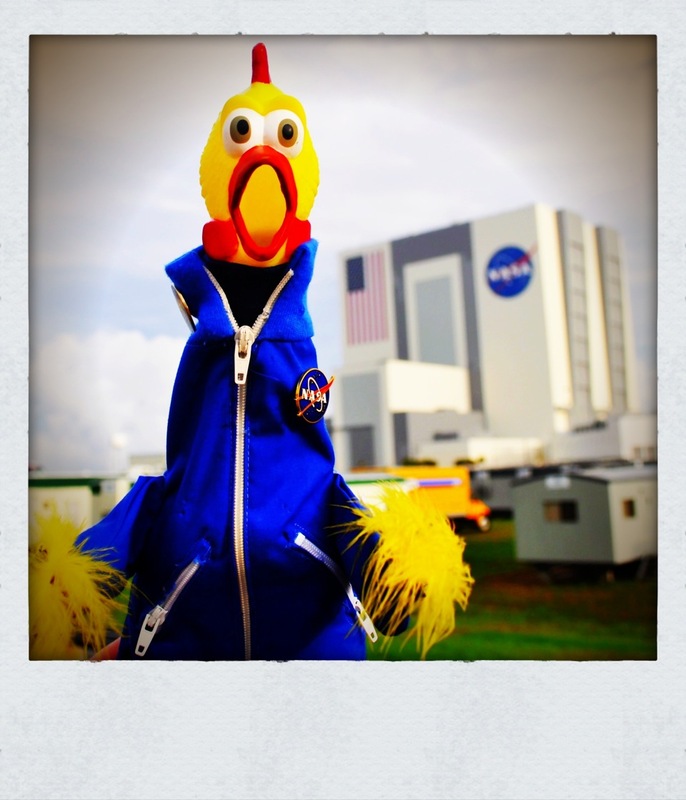 I am Camilla Corona SDO, the NASA mission mascot for the Solar Dynamics Observatory. I call it Little SDO – and Little SDO is our latest eye on the Sun. Thanks to Little SDO we are learning so much more about our Star, which by the way is the only star we know of to grow vegetables! I joined the mission a few years ago, shortly before Little SDO launched from Cape Canaveral. In fact, in just two weeks we will be celebrating its 3rd launch anniversary! Time flies… I digress. In my function I focus on getting kids and adults excited about science! I help with solar education and bring Little SDO’s amazing images to the people, explaining to them the various features on the Sun and just making sure people always protect themselves from the impact the Sun has on us. But not only that, I am really focusing on STEM education; STEM is Science, Technology, Engineering and Math – subjects that kids sometimes don’t like because they are afraid of them. Or they think that they cannot do it. 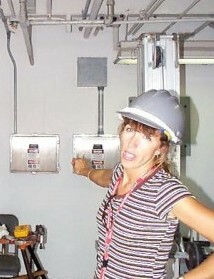 As of late I am also doing the “Train Like an Astronaut” segments as I have to get ready for my own flight to Space. Exercise is such an important component of Astronaut training; before and even during a mission to the International Space Station. 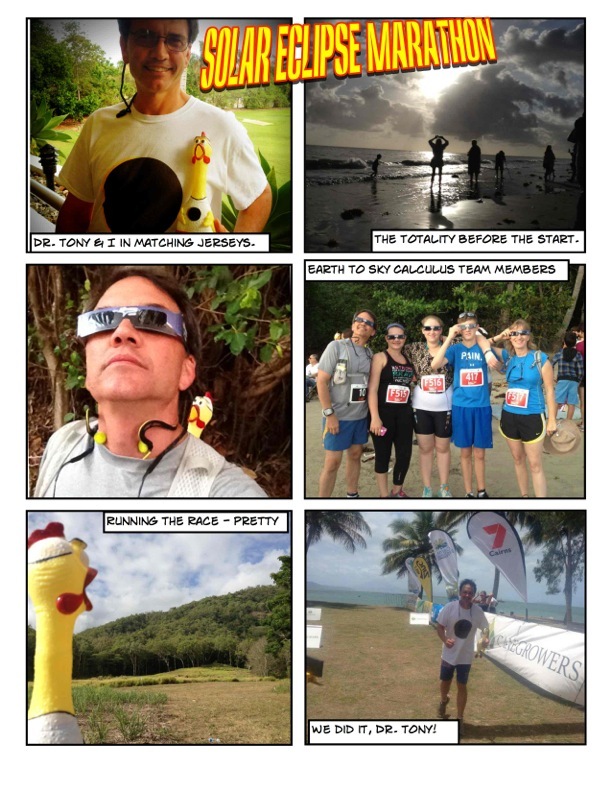 So in November I did my first marathon; it was the Solar Eclipse Marathon in Australia and it sure was beautiful. Now I am getting in shape to do the Rocketman Triathlon and I am documenting my training as part of NASA’s Train Like an Astronaut. I have flown to the Edge of Space 5 times already. The view from 125,000 feet is spectacular and it shows a blue and white world with a very dark horizon and sky. Up there only 1% of the atmosphere is left and you have to be in good physical condition to endure such a mission. My flights were all prepared and executed by students, getting them closer to those STEM fields. And I truly hope that my participation in the Rocketman Triathlon in May will inspire a few people to take additional steps to get in shape, stay in shape and enjoy a more healthier life. I shall be seeing you all in just a few months! 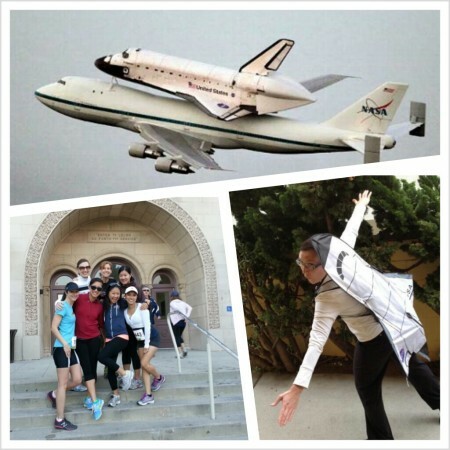 Let’s Train Like an Astronaut! (don’t forget to stretch and stay hydrated!) More information about NASA’s Train Like An Astronaut. “My name is Lindsey and a like many of the other story tellers, I too am a Floridian. I have always admired the Kennedy Space Program for the science and space missions it has gifted to this country. There aren’t many places where one can watch the night sky light up from a rocket launch. My dear old dad first exposed me to the world of science & mathematics and naturally his interest in the space program soon became mine. From the time I was a mere 5 years old up to now (28 years) we have ritualistically launched rockets. Over the years the quality and caliber of our rockets have improved. We initially started with small 18” model rockets flying on C, D and E motors and slowly graduated to building our own (12 ft, +70lbs) flying on M, N and O motors. “I grew up in Melbourne, went to the cape on school field trips, and watched the Apollo flights take off from my backyard. My dad (CMSgt Eddie Presley) worked at Patrick AFB as part of the 4950th Test Wing from 1965 to 1776. 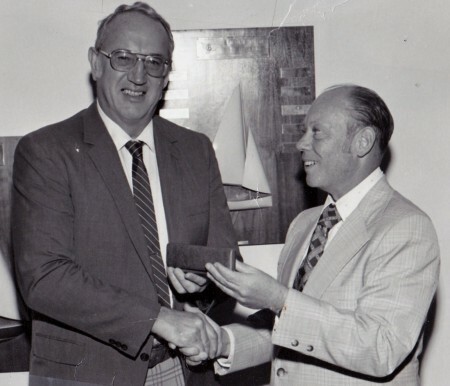 He was crew member in the Advanced Range Instrumentation Aircraft (ARIA) crews that monitored the Apollo take off’s and splash downs up through Skylab. When I was in junior high, the test wing was moved to Wright Patterson AFB. SISTER MADONNA BUDER is 80 years old, has run more than 340 triathlons, and doesn’t know what all the fuss is about. In her book, The Grace to Race, she shares the no-nonsense spirit and deep faith that inspired her extraordinary journey from a prominent St. Louis family to a Catholic Convent and finally to championship finish lines all over the world. She lived a mostly cloistered life as a Nun until her late forties, when a Priest suggested she take a run on the beach. She dug up a pair of shorts in a pile of donated clothes, found a pair of second-hand tennis shoes, and had a second epiphany. This time, she discovered the spiritual joy of pushing her body to the limit and of seeing God’s natural world in all its splendor. 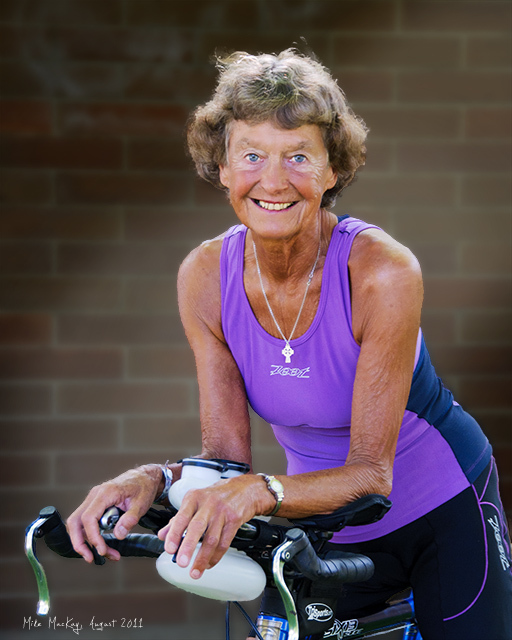 More than thirty years later, she is known as the Iron Nun for all the triathlons she has won. Just five years ago, the age 75–79 category was created for her at the Hawaiian Ironman in Kona, where she completed a 2.4-mile swim, a 112-mile bike ride, and a full 26.2-mile marathon in record time. 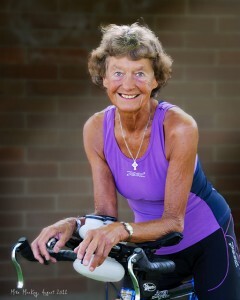 Now she has set her sights on a new goal: inaugurating another new Ironman age group, 80–84, in 2010. “I am a disabled Marine Corps combat veteran. My deployment to Iraq left me with little use of my mind or body, partly because of my reconstructive surgeries and hardware implants. Between of the mess of pain rehab, pain meds, and pain all over, I lost my motivation. I accepted the word of my doctors when they’d said, “You will never be able to compete again, John. At some point you will be able to walk, and eventually jog, but that’s it. You may be able to regain a majority of your cognitive processing and memory back, but maybe not. You have to accept it for what it is and move on. You can do plenty with you mind alone.” I thought to myself, “Thank you, but I will do both instead!” I weighed 350 lbs. at that time in 2010. By 2011 I started biking and swimming, both of which helped me to cut fat. But it wasn’t until 2012 that I decided that I will make my own destiny. “I will start running again; I will feel good about my self again; I will be the role model that my nephews and niece need me to be; and I will compete again!” Since then I have lost a considerable amount of weight. I now weight 250 lbs. I stand to lose another twenty before Rocket Man. It was one of the most shocking moments of my life. I literally realized the years I missed, and immediately started doing sports… exactly one year ago (April 9, 2102). In my first year I dropped 35 pounds, did seven Triathlons (4 Sprints, 1 Xterra, 1 Olympic, 1 Half), two Mud Races (5K & 10K), one 5K Standard, and met the most wonderful people in the sports in my Island. We have embraced in a great friendship and lots of memories.